The vast and remote plains of the central Serengeti are best known for airing what has been dubbed ‘the greatest wildlife show on earth’: the Great Migration. Guests at the exclusive Namiri Plains camp are thrown right into the middle of it all, and will find themselves staying in a part of the Serengeti famed as the place where the big cats roam. This vast expanse of African wilderness roars to life in the rainy season when some of the highest concentrations of hyena on the continent are known to move into the area. 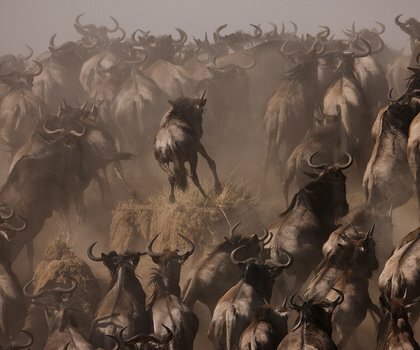 Hordes of wildebeest blacken the golden landscape, interspersed by pockets of zebra and other ungulates between October and May. 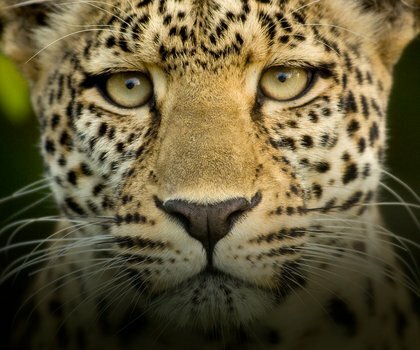 While the great migration is undoubtedly a great drawcard, the Serengeti is truly a year-round safari destination. The camp’s eight tents blend seamlessly into their surroundings, resting in the umbrella-like shade of towering acacia trees. 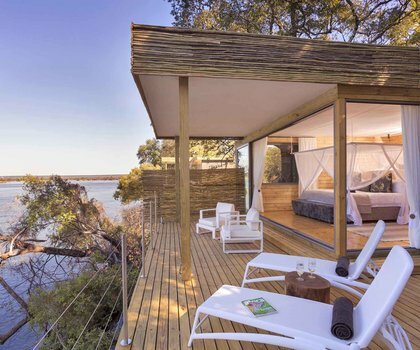 All tents have uninterrupted views of the surrounding savannah, river, and reed beds. Daily game drives and walking safaris take up most of the day, while breakfast picnics and sundowners become extended affairs from atop the Soit Le Motonyi viewpoint.